A few good decisions, made early, just might buy you that art tile or refurbished vintage stove you’ve always wanted. And “early” is the key word, because last-minute decisions cost dearly—in freight charges, change-orders, and time delays. Plan out every step and every purchase in advance. Remember the incidental costs—Dumpster rental, permits, color consultant. If renovating your kitchen means redoing a powder room and upgrading the deck outside, factor all that in. A beautiful cabinet enhances a simple bathroom. If all you’re doing is refacing cabinets and replacing the dishwasher, you can go it alone. For medium-scope renovations, consider at least consulting with a designer for a flat fee (the builder or a drafting service can create construction drawings from the architect’s sketches). With professional consultation, you may find, say, that just two extra inches in the island dimension gives you a recycling bin, or that you’ll need to install a larger gas pipe after demolition to accommodate the high-BTU range you covet. When choosing a contractor, don’t necessarily go with the lowest bidder; a low bid may signal sub-par workmanship, materials, oversight, or itemization. The more detailed the bid, the more likely you are to come in on budget. Budget basics are obvious: Don’t add on if there’s an alternative; increase the efficiency of the room, not its size. Relocate some storage to a closet, mudroom, or basement. Try not to move the plumbing, which can get expensive. Always “clean it first” (whether old cabinets, hardware, or tile); you may find it does not need replacement after all. Decent existing cabinets, however dirty or outdated, can be refurbished. Consider refinishing or painting them, building new doors, using glass-front doors on some, or changing out builder-grade hardware for period reproductions. A monochromatic scheme sometimes gives an old kitchen a fresh look. If the old cabinets were sub-par and are now showing their age, replace them. New cabinets are the single most expensive item in many kitchen renovations. 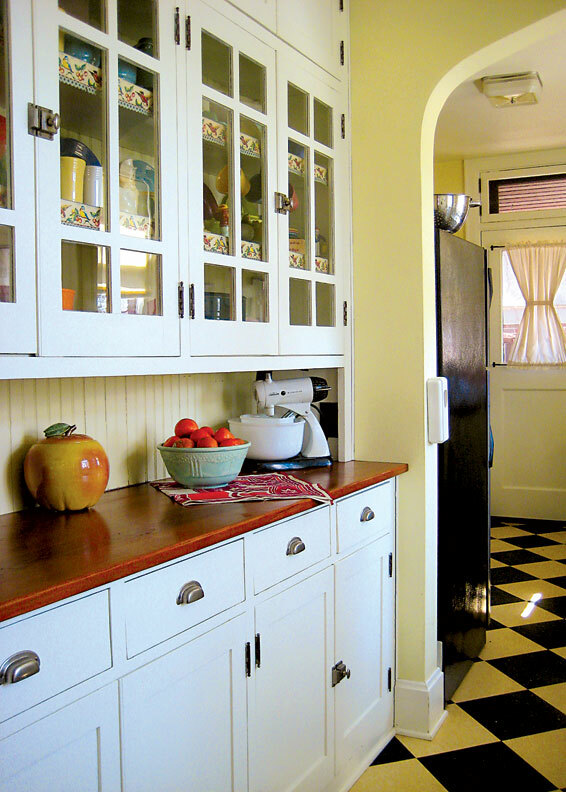 Painted stock cabinets cost the least, and custom hardwood cabinets with period-style flourishes are the most expensive. Splurging on cabinets is certainly worth it: they define the room, and quality will pay for itself over time. You can save a bit by not insisting on every option (e.g., spice and knife drawers), and by adding freestanding pieces instead of an additional run of cabinets. Open shelves are cheaper to build than wall-hung top cabinets. The center island doesn’t necessarily need to be plumbed. Countertop materials range widely. At about $40 per square foot, laminate can look great, especially edged in wood or aluminum (depending on period). 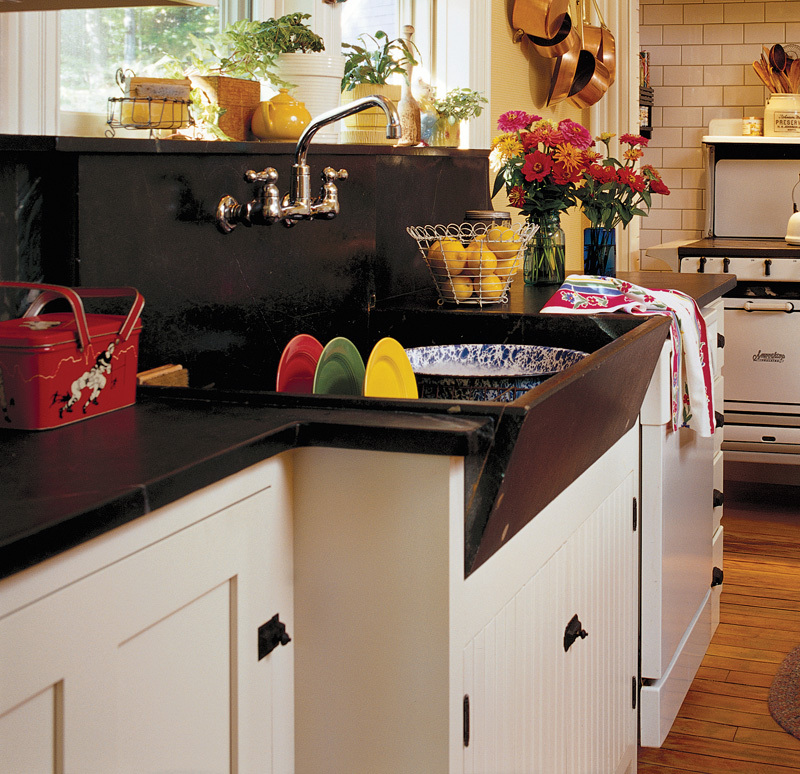 Soapstone costs about $70–$120 per square foot and lasts forever. Quartz and granite cost $100–$250 per square foot. Know your must-haves and then make trade-offs. Heart set on an expensive, retro-style refrigerator? 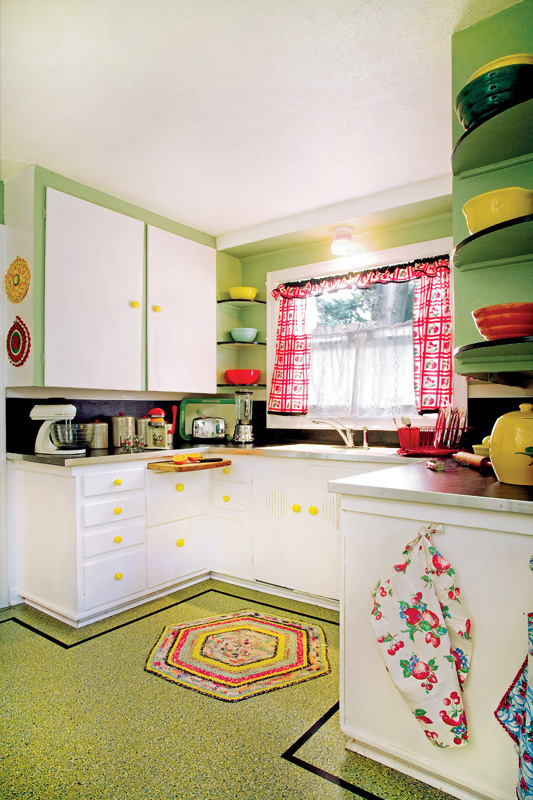 Maybe you can afford it if you go with linoleum instead of tile on the floor, or forego granite countertops. Keep one wall of those ca. 1950 white metal cabinets, thereby freeing the budget for a tile backsplash. Also remember that color, textiles like curtains and a tablecloth, and collectibles are affordable ways to add personality and period style to an otherwise standard-budget room. Stay classic—good advice for savings upfront and in the future. Trendy choices are often expensive and quickly date a kitchen or bath, which can harm resale value or make you want to do it over in a few years. 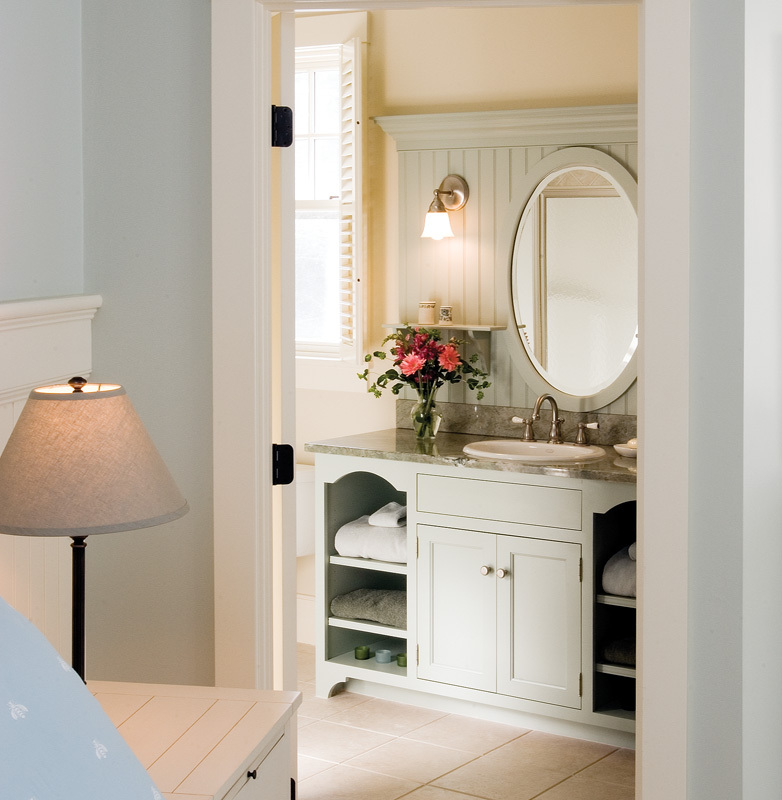 Timeless choices (like white fixtures) are generally less expensive, and they won’t go out of style. Think in black and white. Both all-dark and excessively white kitchens show dirt and become tiresome. The black and white kitchen, however, is a classic in all periods: think white tile and soapstone, or ivory-painted cabinets with an old black stove. Some contrast gives the room visual depth. Wood has a place in old-house kitchens, whether on the floor or in the island—and even for dry-area countertops. Avoid dramatic sinks. Unusual colors and shapes will age quickly. Porcelain sinks are timeless in the kitchen, copper or German silver in the pantry or bar. Pick neutral countertops. Avoid exotic granites and glossy surfaces. If you do choose granite, make it lightly figured and very dark or very light, with a honed finish. Soapstone and slate have been used for centuries. If you choose a solid-surface material, stick to those that resemble stone. Do a simple backsplash. If you’re using a quality countertop surface, it may be best to use it on the backsplash as well. 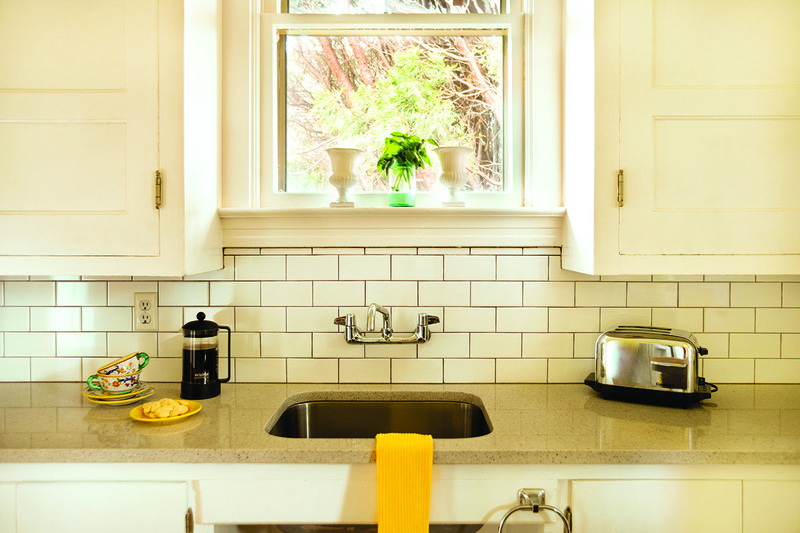 Plain subway tile is a safe choice. 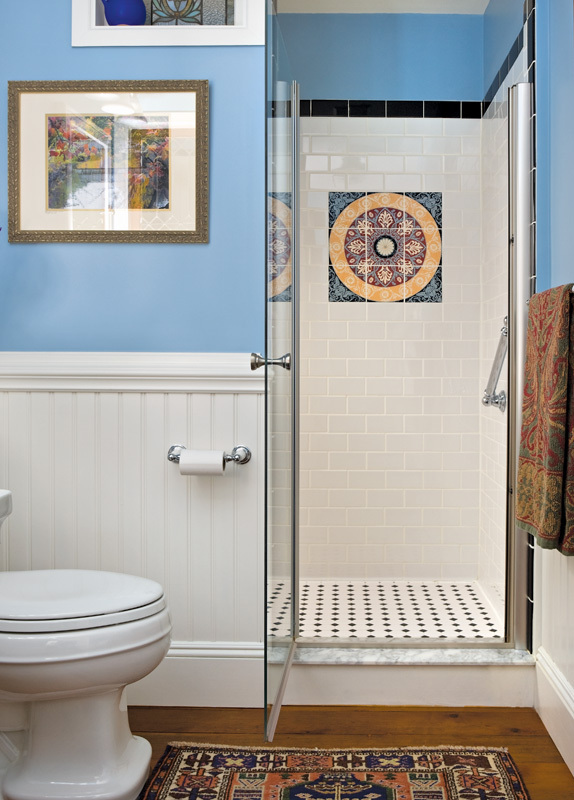 Don’t get too personal with colors or tile murals. Use unfitted pieces & antiques. Not everything needs to be ordered brand-new through a showroom. For example, a big old porcelain sink, bought cheap, can be built into a simple vanity cabinet by a carpenter on site. Historic geometric tiles can be found at architectural salvage stores. That kind of reuse adds character and patina, another advantage. 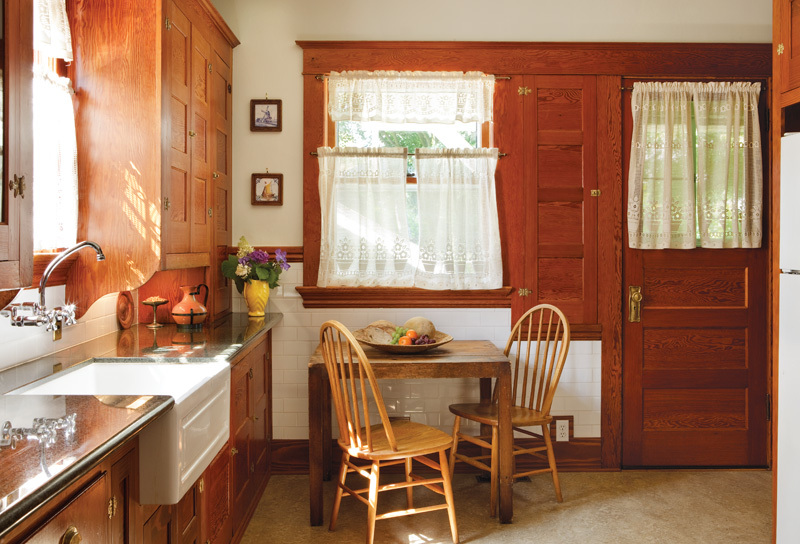 Most people want some built-in workspace, but, in lieu of an additional run of custom cabinets or an island, consider using antique furniture, like a Hoosier cabinet or worktable. Buying remnants can get you high-cost materials at a reasonable price. An entire countertop in marble is very expensive—but buying a two-foot remnant piece, from the stone yard or your contractor, gives you a pastry center; other counters may be covered in wood, tile, or laminate. Look for building-supply auctions, too. Save on tile, if you decide to use it, because the price tag can be steep if you need a lot of it, or if you choose hand-made or premium tile. Here’s how to get the most bang for your buck. Use it judiciously. Art tile is a beautiful accent, but if you don’t have the budget to do a full kitchen’s worth of backsplash, find a panel or a deco tile you like, and “picture frame” it. Around the focus, use less expensive liners, plain tile, and perhaps some more liners and molded trim to fill the space. Another option is to use a bordered panel or tile mural assembled and sold as a set, and again use plain tiles around it. Buy at reduced price. Every tile showroom and even small-scale custom makers offer sales on discontinued tile and on custom orders that were never picked up. If you’ve got time and can keep an open mind, a beautiful, appropriate set may fall into your hands at an affordable price. Learn how to decide, when to save, and where to splurge with these tips on how to cut the cost of your kitchen renovation.